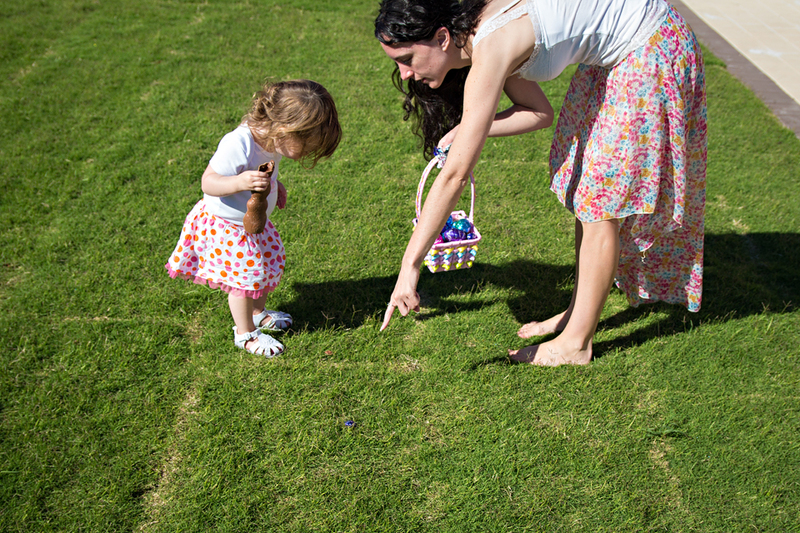 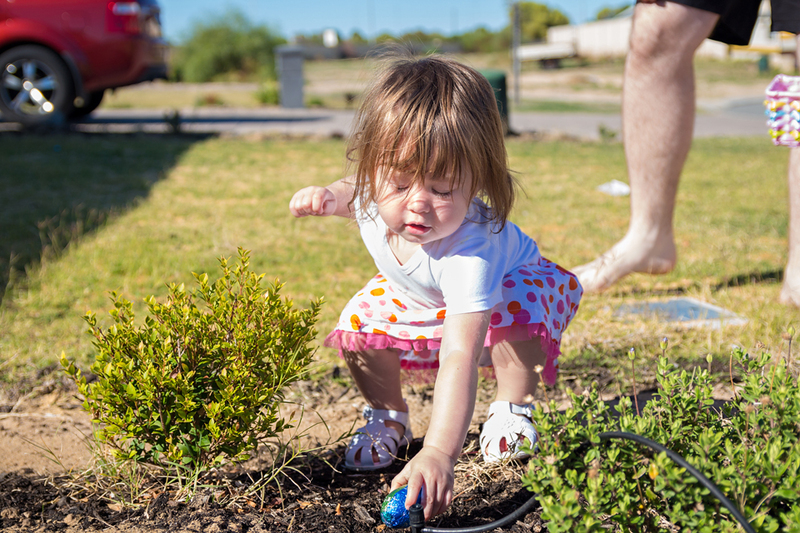 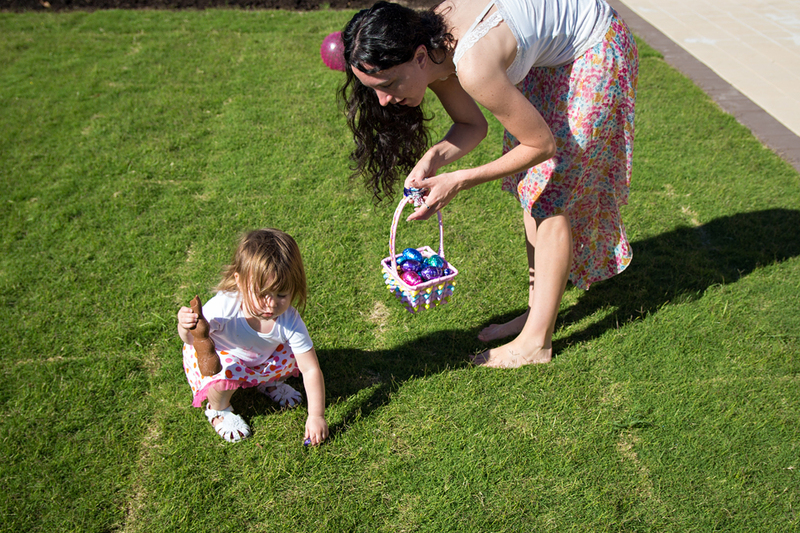 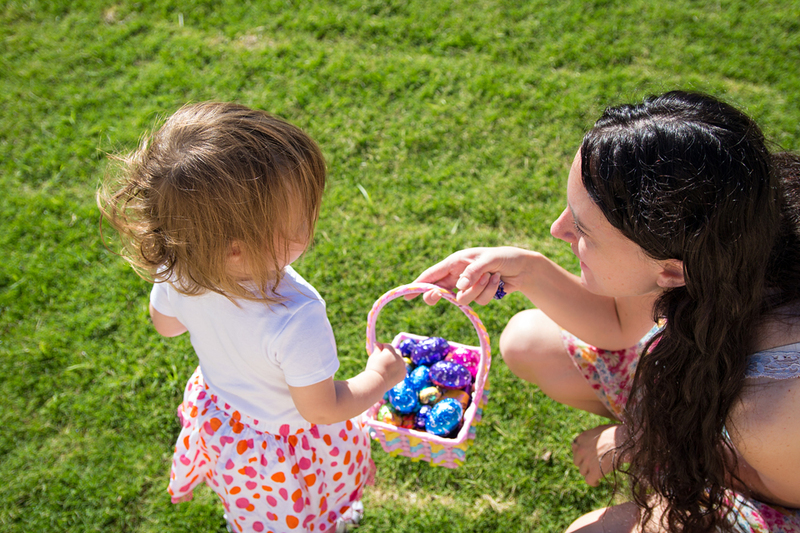 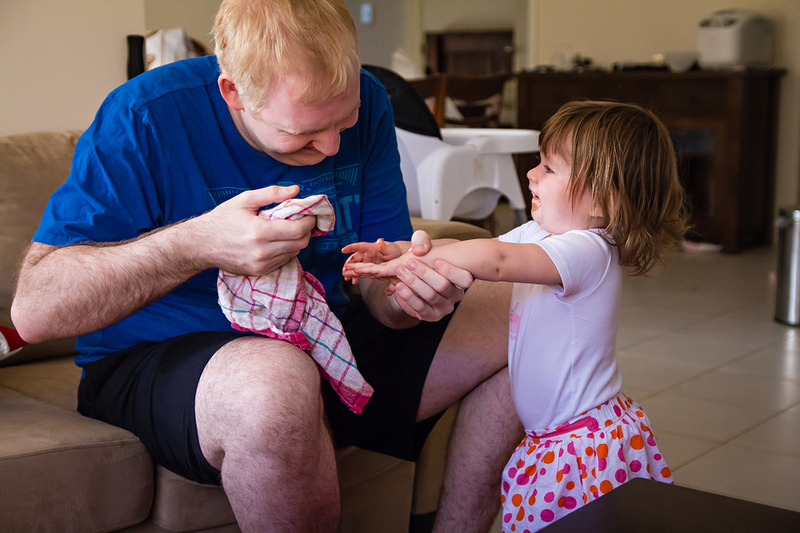 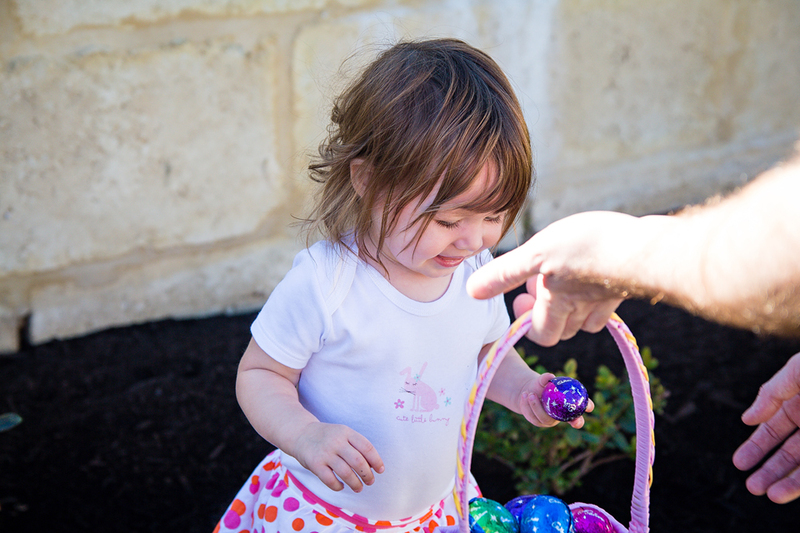 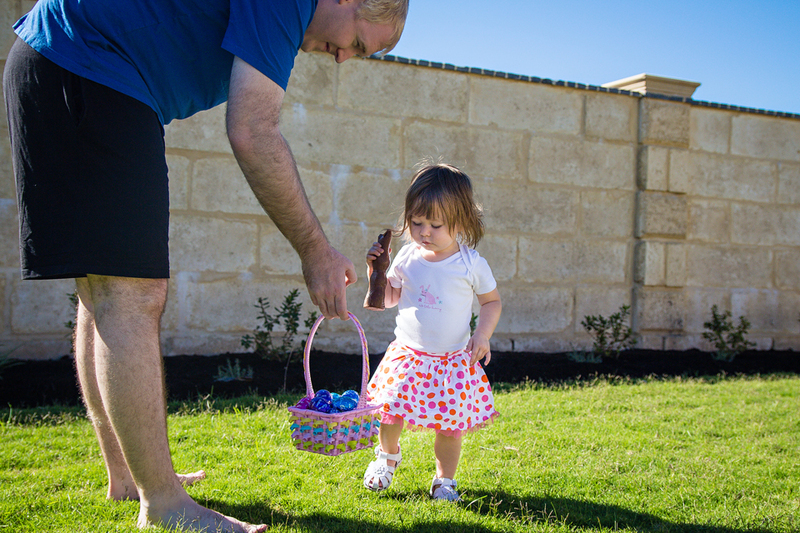 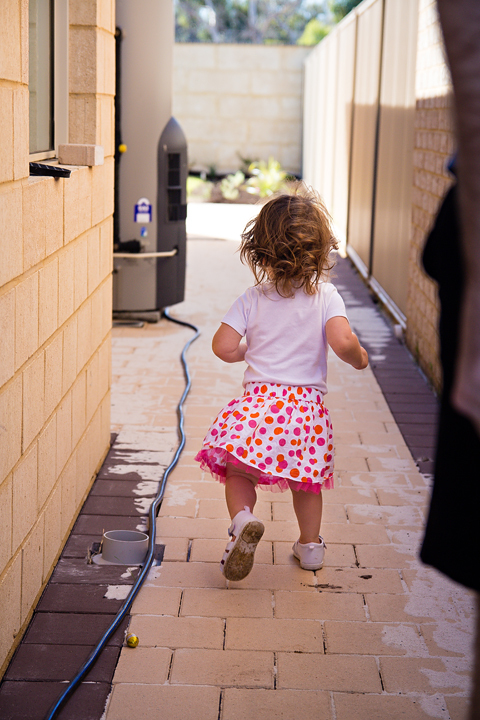 Growing up in a religion that didn’t allow Easter, I was pretty excited about Easter this year – it was both Scarlett’s and my own first Easter egg hunt! 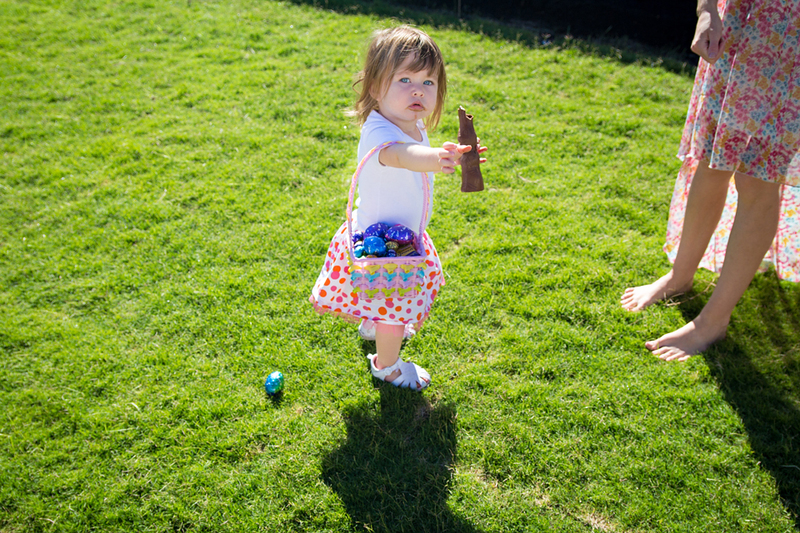 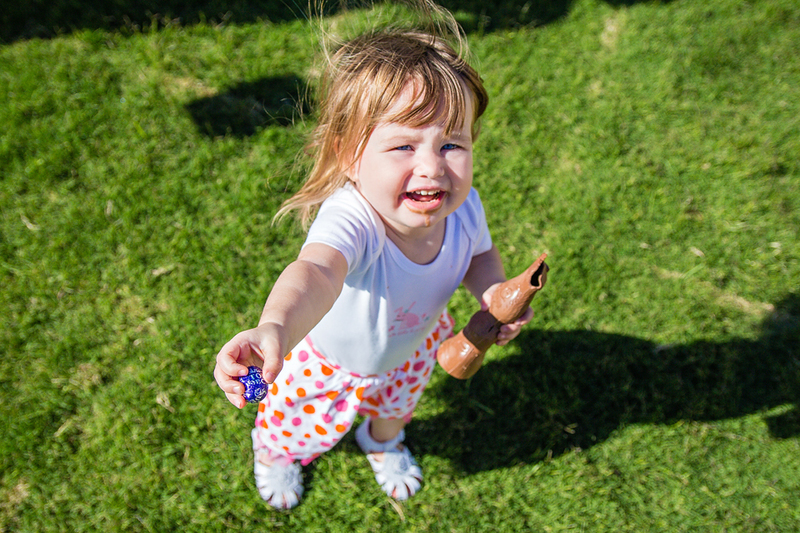 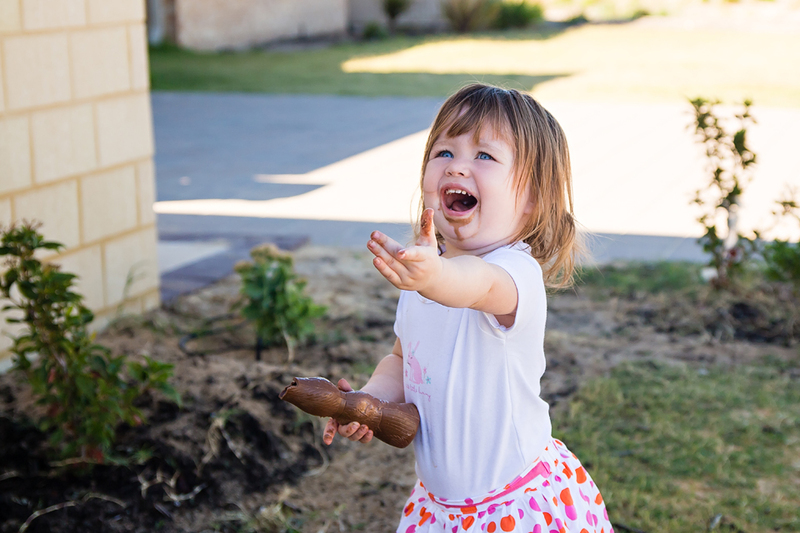 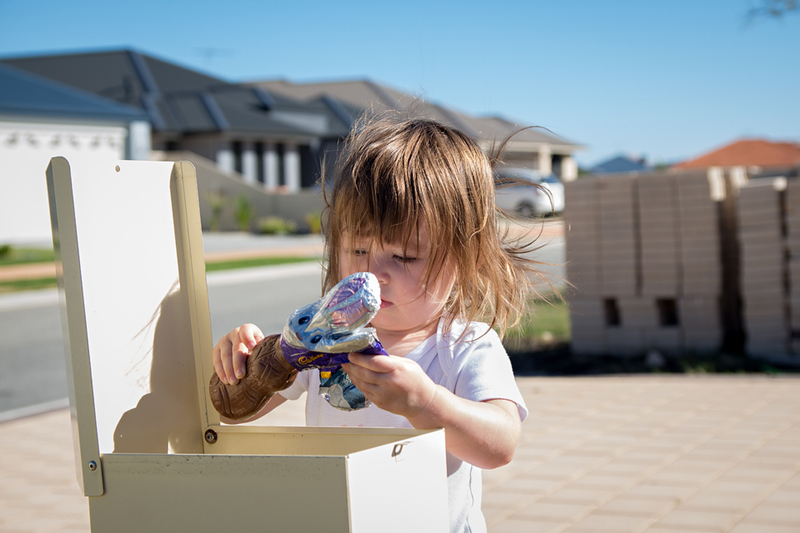 Dada snuck outside and hid all the eggs and Scarlett had a great time finding them all and devouring the chocolate bunny while she was at it! 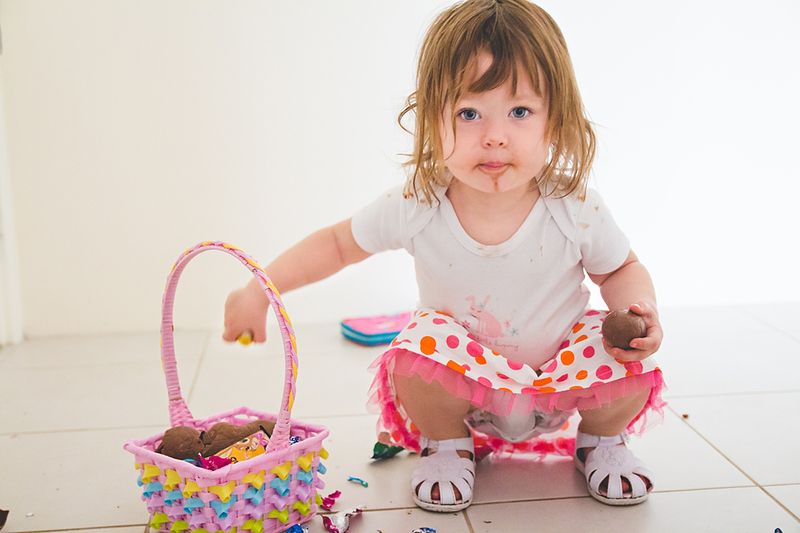 Once finished, she just sat there unwrapping all the shiny paper. 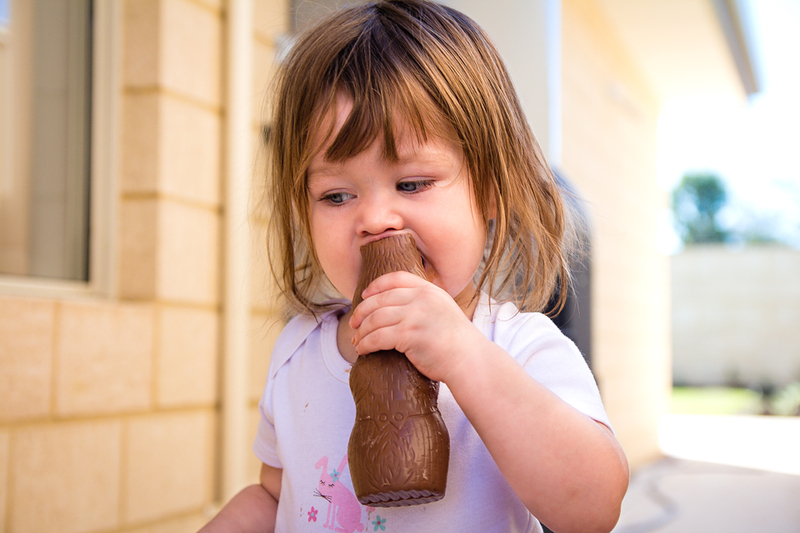 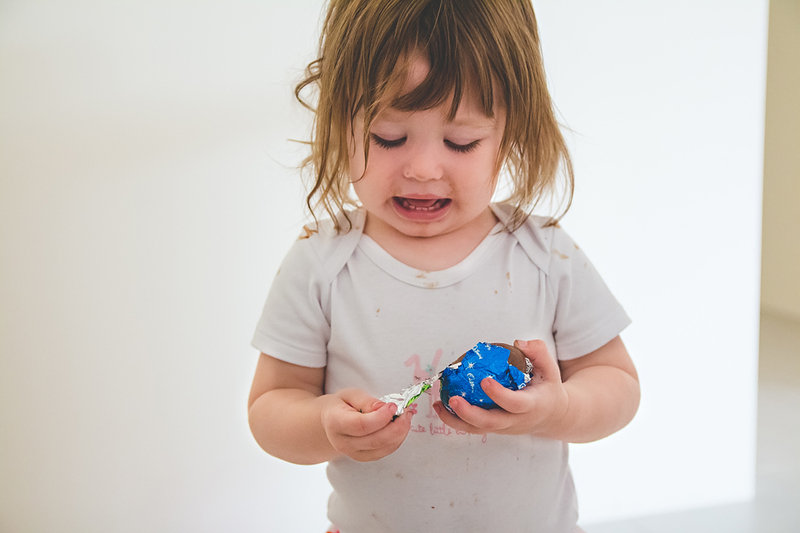 I think we’ll do things slightly differently next year… all that chocolate turned her into a super crazy child and really altered her personality into a very naughty little monkey. 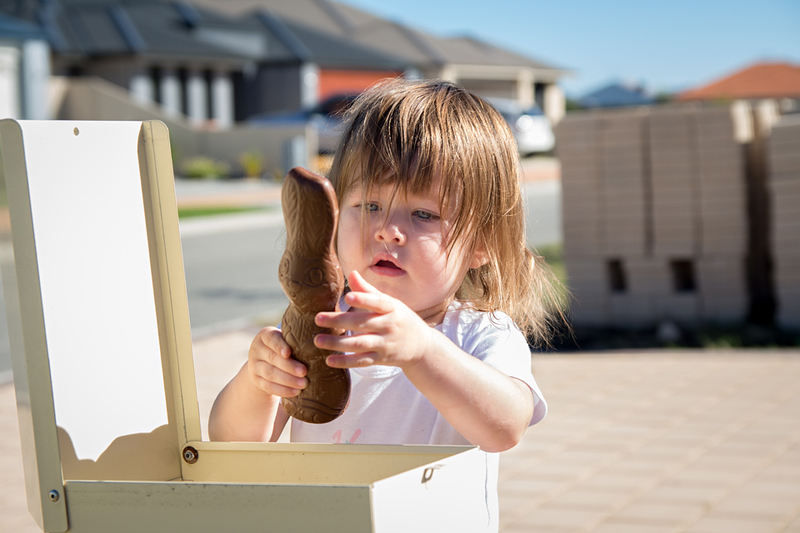 Less chocolate next year – you live and you learn!